The current, third, Dupseng Rinpoche is first and foremost a vajra master guiding his students, both monastic and lay, in their practice of the Buddhadharma through all levels. For his monastic students’ intensive development he is the retreat master responsible for the Karma Kagyu traditional three-year-three-months retreat at Karma Ngedon Palbar Ling Retreat Center, Sarangkot, Nepal. For his lay students Rinpoche has been traveling and teaching for years, holding group retreats and guiding smaller and larger groups in shorter and longer retreats. In 2018, a long-held aspiration finally bore fruit, and a retreat program for lay yogis based on the curriculum of the traditional three-year-three-months retreat was launched. 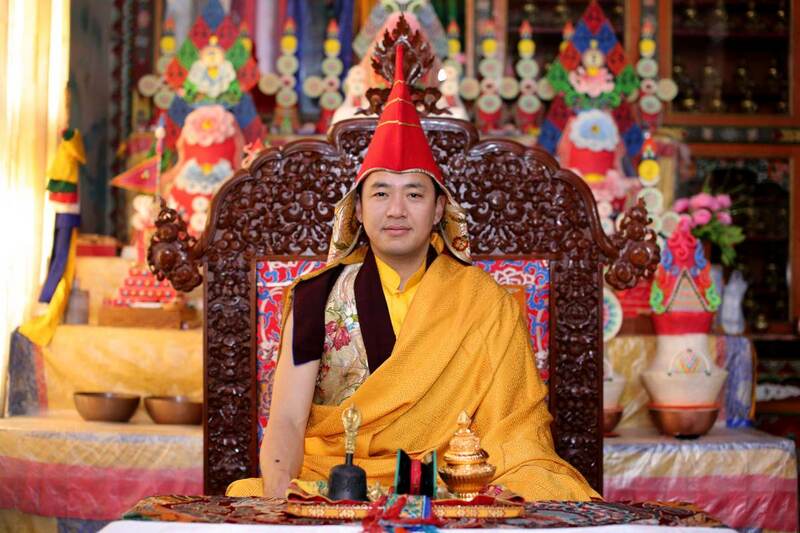 It is Rinpoche’s aspiration to guide his lay students to the same accomplishments as the traditional lamas, in a program tailored to the conditions of modern life. The program is available through regular events Rinpoche holds in Thailand, Nepal, Denmark, and in the future possibly Germany. 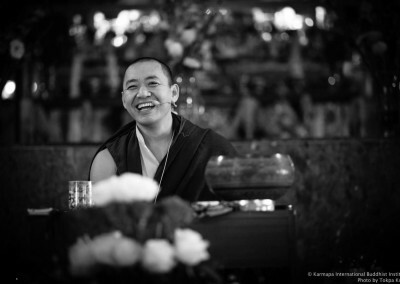 Throughout his past two lives, Rinpoche has been dedicating his activities to deep practice in retreat, and in this life he is continuing this great work. 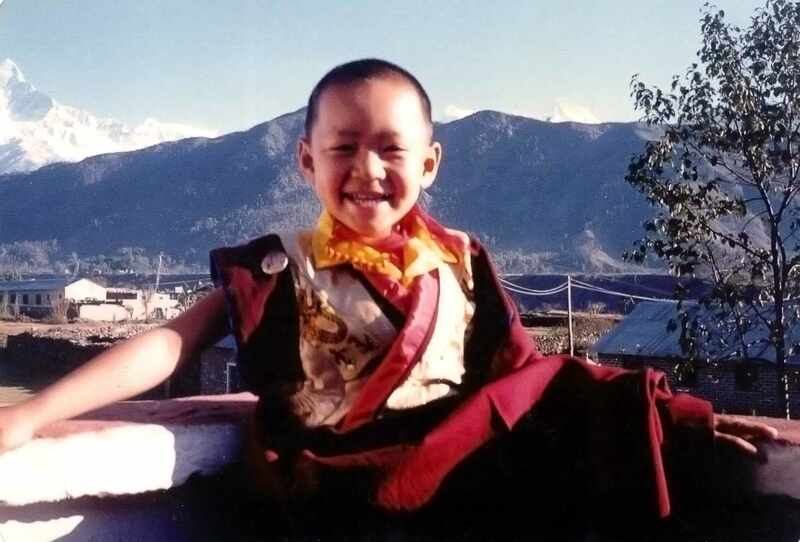 When he was two and half years old, he started to tell his parents and family that he had many students and two monasteries, one in Tibet and the other in Nepal. Nobody understood exactly what he meant and there was a small Kagyu monastery in his village and Rinpoche always wanted to go there and stay. The abbot of that monastery, named Lama Dupgyud Rinpoche, was a colleague of Dupseng Rinpoche in his past life. 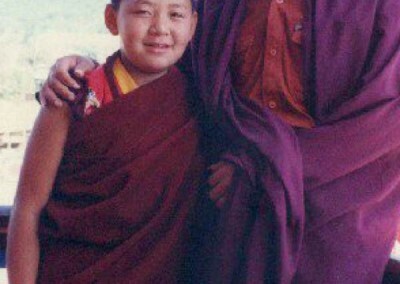 Rinpoche entered into monastery life when he was nearly four years old and studied under the guidance of Lama Dupgyud Rinpoche. 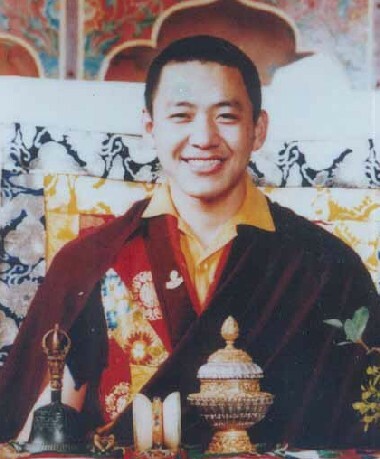 During his time in the monastery, Rinpoche exhibited great talent and learned all the ritual arts very quickly compared to ordinary monks. His master found him to be very special and perceptive, treating him particularly special among others in the monastery. At the same time, late Lama Sherap Rinpoche, known as the 2nd Milarepa, who had spent his entire life in the Milarepa caves in Tibet, came to Jangchub Choling monastery and declared that Dupseng Rinpoche’s incarnation had come and it was necessary bring him back. After some time His Holiness Shamar Rinpoche (as well as His Eminence Tai Situ and HE Goshir Gyaltsab Rinpoche) recognized that this boy was the reincarnation of the previous Dupseng Rinpoche. Two senior lamas, Lama Dupten and Manager Dakpa, representatives from Pokhara monastery, came to investigate. 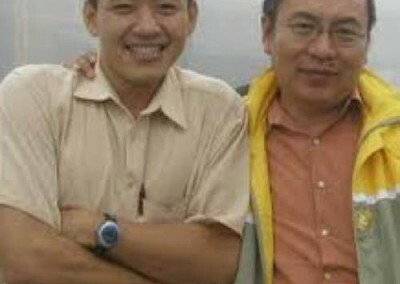 When Rinpoche saw them for the first time, he called both of them by their name and told many things from his past life, even though they were meeting for the first time and they should have appeared as strangers to him. It was like he knew them since long ago and the familiar atmosphere he held with them was like good friends meeting after a long time. They made requests to the family in order to bring Rinpoche back to his monastery in Pokhara. The family gave their approval. When Lama Dupten and Manager Dakpa reached Pokhara, they reported the information about what had happened and everyone was very touched by the story and filled with joy. 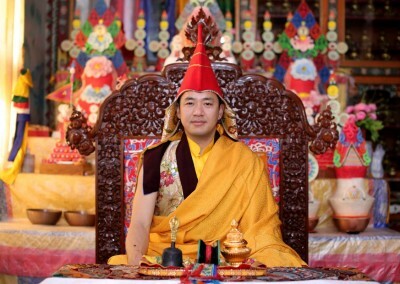 Led by Shangpa Rinpoche and the senior lamas, all his past life students made the practical arrangements for welcoming him at the monastery and providing an enthronement ceremony. After all arrangements were done, they again went to South India to welcome Rinpoche. On the journey back to Nepal Dupseng Rinpoche together with Sabchu Rinpoche had their official enthronement ceremony at the Rumtek Monastery. 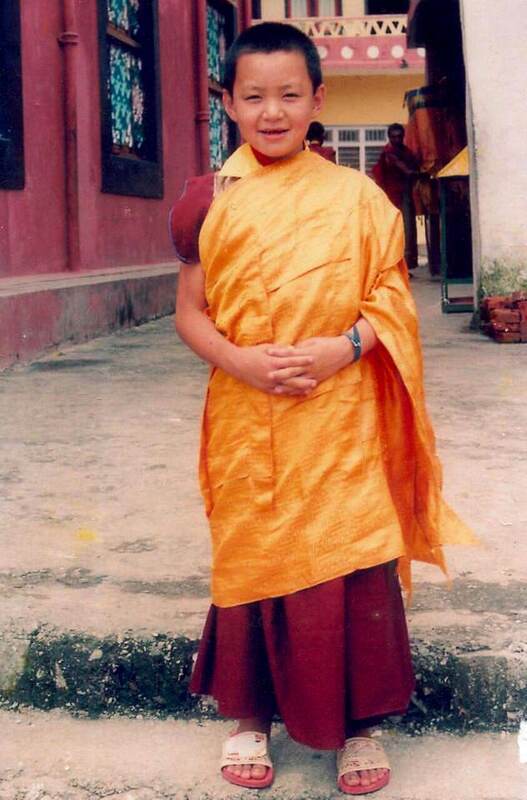 When Rinpoche finally arrived at the monastery in Pokhara, all the monks and villagers questioned the young Rinpoche. He answered all of them and all the disciples were very happy and satisfied with this genuine incarnation of their guru. Rinpoche studied under numerous masters in Pokhara, including Lama Khedup, Lama Dupten and Khenpo Ngedon. 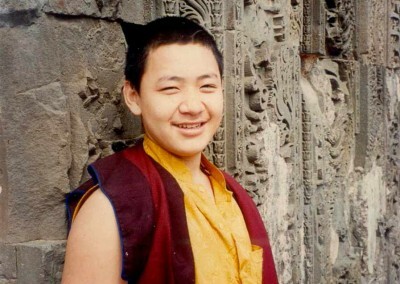 At the age of 14, Rinpoche joined Vikrama Shilla Buddhist Institute, where he always achieved 1st position in his class and graduated in the year of 2001, obtaining a Bachelors degree in Buddhist Philosophy. 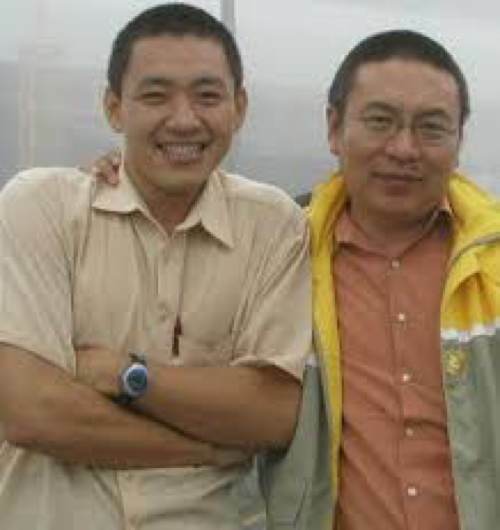 In 2001, Rinpoche went to Kalimpong for further studies under Professor Sempa Dorje. At the same time Rinpoche did some correspondence courses from Delhi University in order to get admission into Cambridge University. In 2003 Rinpoche joined the Cambridge University in the United Kingdom to study English Literature and Theology. Rinpoche completed English Language and Literature studies and graduated with a Master degree in Theology in 2007. During his studies, Rinpoche received many teachings, oral transmissions, empowerments and did many retreats under one of his gurus, the late Ven. 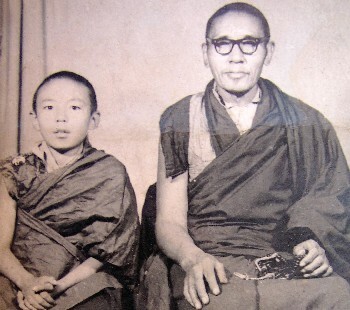 Bokar Rinpoche and late Ven. Lama Kunkyab. Dupseng Rinpoche also made a six Naro Yoga and Vajra Varahi retreat at Le Bost in France. This retreat was guided by the experienced master Kenchen Trinley Paljor Rinpoche, who also transmitted many initiations and oral transmissions. From 2008 to 2011, Rinpoche entered the traditional Karma Kagyu three year and three month retreat under the guidance of Ven. Lama Sherap Gyaltsen Rinpoche in Karma Ngedon Palbar Ling Retreat center at Sarangkot Mountain, in Pokhara. Rinpoche also received various transmissions from great masters such as Kalachakra from His Holiness the 14th Dalai Lama at Drepung Monastery, Kagyu Ngagzog from HH Shamar Rinpoche in Delhi, and Do Joe Bum Zang and Dudjom Chokhor from His Holiness the late Trulshig Rinpoche in Kathmandu. Besides the activities as retreat master Rinpoche also takes care of Jangchub Choling Monastery, Vikrama Shilla Buddhist Institute, Dupgyud Choling Monastery, with a total of 160 monks, as well as Kagyu Institute for Buddhist studies and Tharpa Choling nunnery in Muktinath, with 48 nuns. The 2nd Dupseng Rinpoche (1912-1976) was found in Mendong village as according to HH Karmapa’s prophecy. In late 1936, HH Karmapa made a pilgrimage to Mt Kailash, and on his way, he visited Mendong monastery and decided to bring the young Dupseng Rinpoche to Tsurphu monastery and have him go into retreat. 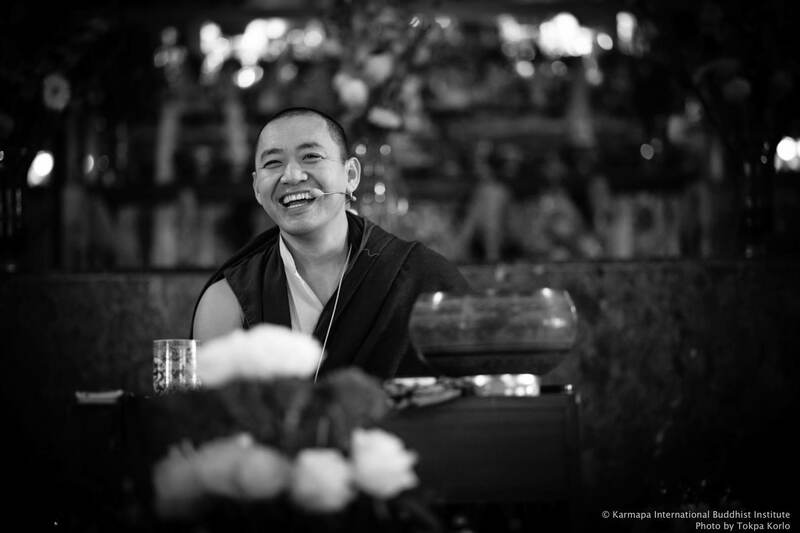 After Rinpoche completed the traditional three year and three month retreat, HH Karmapa sent him back to Mendong to take the responsibility of the Monastery. Rinpoche took care of Mendong monastery until 1959 and after that rinpoche left Tibet with a small entourage and reached Nepal. 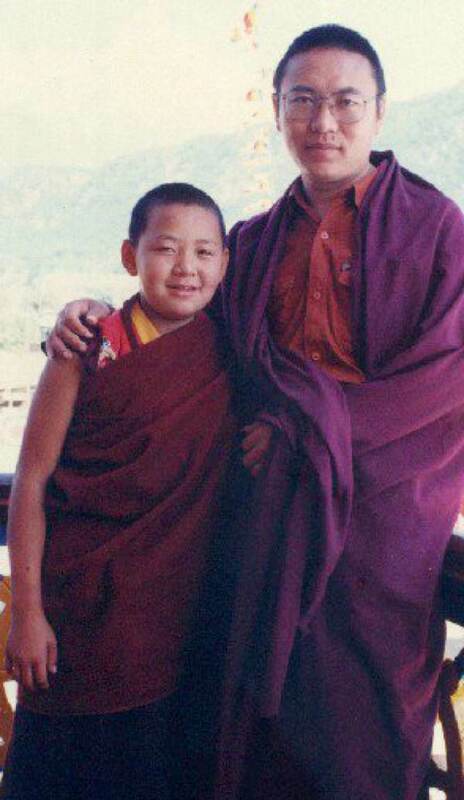 At first, HH Karmapa sent Rinpoche to Kirtipur to benefit the Nepali Buddhist community residing there. After a few years, a Tibetan settlement in Pokhara requested HH Karmapa to send Dupseng Rinpoche to Tashi Palkhel Tibetan Settlement Camp and thus Dupseng Rinpoche went to Pokhara at the request of HH Karmapa. Rinpoche and some of his disciples settled down there with a small monastery and His Holiness the 14th Dalai Lama blessed the monastery with the name of Jangchub Choling Monastery. Gradually, it has expanded and developed into a permanent monastery with about 33 monks that included the young Tulku, Shangpa Rinpoche. The 2nd Dupseng Rinpoche passed away in 1976, at which point the Venerable Shangpa Rinpoche took the responsibility of Jangchub Choling Monastery. Dupseng Rinpoche stayed in deep meditation (Tib: Thug Dam) for three days, even after his physical death. During the cremation ceremony of Rinpoche’s Kudung, which was led by late Venerable Tenga Rinpoche, many auspicious signs occurred, like a rounded rainbow over the cremation place and relics appearing in front of a large group of disciples. One very unique and auspicious sign that occurred was that one of the four silk victory banners located in the middle of the fire never burned. Buddhists believe that this was a very auspicious sign indicating the flourishing of dharma in the future of Jangchub Choling monastery. Thereby the lineage from Mendong monastery where the 1st Dupseng Rinpoche was lineage holder is also being preserved. Today, the victory banner and relics that were given to every monk, each pill and all the rest, are preserved in the monastery. One can still get blessings from them through special request. The 1st Dupseng Rinpoche (1838-1902) was born in western Tibet. He was known as Retreat Master (Tib: Dubpon) Karzang Rinpoche and was the main Lama for Zuru Village. He took care of the spiritual needs of the people of Zuru village from the 14th Karmapa through to the 15th Karmapa’s time. Thus, they named him Zuru Rinpoche. Later, Zuru Rinpoche also took care of the spiritual needs of Mendong village after Mendong Tsampa Rinpoche, the founder of Mendong monastery, passed away. Zuru Rinpoche became the 2nd lineage holder of the Mendong monastery, a role he held until he passed away in 1902. 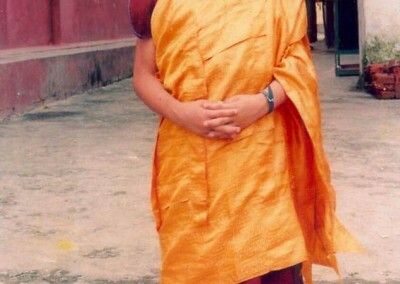 Damcho Rinpoche became the 3rd lineage holder of Mendong monastery and after a few years he sent some monks and villagers to Tshurphu monastery to request information about the incarnation of Mendong Tsampa Rinpoche. 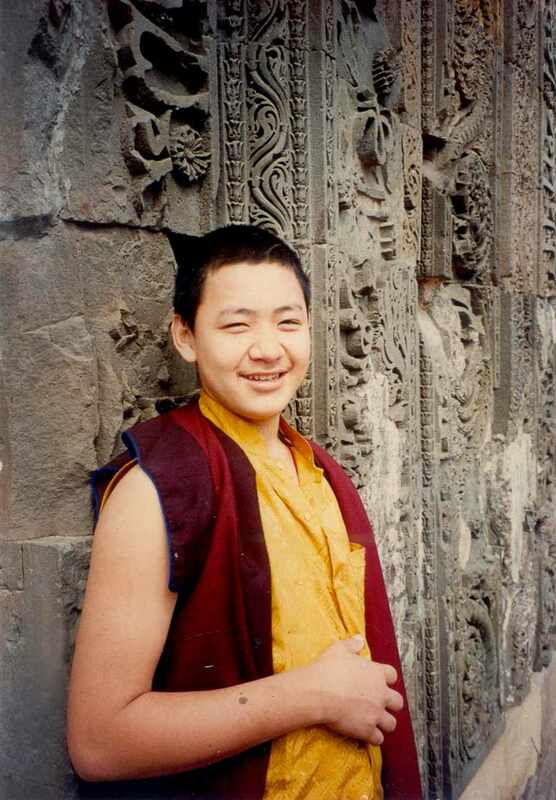 His Holiness Karmapa told them Mendong Tsampa Rinpoche’s reincarnation would not come, but Karmapa indicated that the incarnation of Zuru Rinpoche would be found in the area of Mendong, born as a boy in the dragon year.